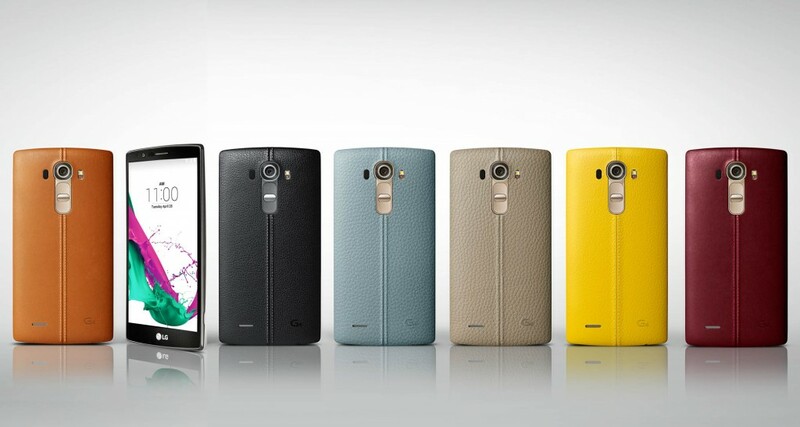 After weeks of teasers and even an accidental leak of a test site that leaked final images of the phone and near final specifications, LG has announced its latest Android flagship in the G4. The key changes to the G4 center on a new leather backing, improved camera module with a 16-megapixel sensor, f/1.8 lens aperture and improved “laser-assisted” autofocus along with improved optical image stabilization. The specifications are otherwise refinements from last year’s G3, with a 5.5-inch quad HD IPS Quantum display, and the phone powered by a heavily-customized Qualcomm Snapdragon 808 processor with X10 LTE support. Qualcomm has confirmed that it specially tuned the 808 for the LG G4 to improve call quality and enable theoretical download speeds of 400 Mbps, most likely for use on Korean LTE-A networks. As stated earlier, the phone’s camera features a wide aperture of f/1.8 and captures 16 megapixel images. It features laser-assisted focus, improved optical image stabilization, and a color spectrum sensor to read visible and infrared light to help improve color rendition in low-light and daylight images. The phone can also shoot RAW images and capture 4K video. The 3,000mAh battery powering the phone is removable, as well as supporting up to 2TB microSDXC memory cards along with its 32GB of internal storage. The front-facing camera features an 8-megapixel sensor and LG also announced improvements to the Gesture Shot feature to make selfies faster and easier to capture. 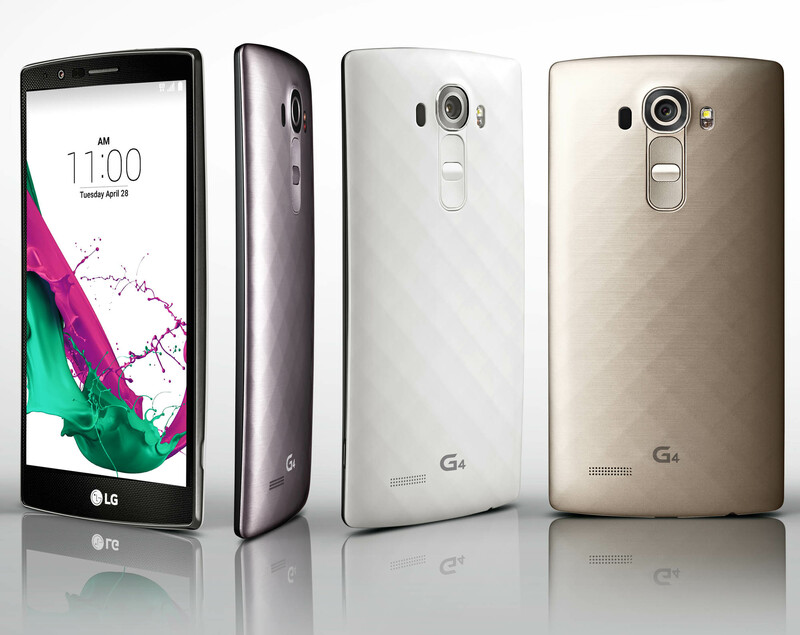 The phone also features the fourth generation of LG’s own user interface, which is now based on Android 5.0 Lollipop. Rather than including its regular app suite common in previous versions of its user interface, it now relies on Google’s apps for many core functions and added a new feature called Quick Help to its user interface for searching the phone and the web without needing to launch a separate app. LG has yet to announce availability and pricing for the G4, likely to allow carriers to make their own announcements. Update: Sprint and T-Mobile have announced separate plans to release the phone in June, although neither carrier has announced pricing or specific launch dates. T-Mobile is also holding a pre-registration sweepstakes for those that register for G4 information alerts via email where the carrier is giving away a G4 every day from now until May 25th. AT&T and Verizon have also announced their respective plans to launch the phone later this year, but have not confirmed any launch details. Verizon has also confirmed that its version of the phone will support the carrier’s implementation of HD Voice along with Advanced Calling (VoLTE).